Rocket Embroidery supply a whole range of quality workwear, from many trusted brands. Whatever the business environment, we can provide a suitable uniform that will represent your brand. 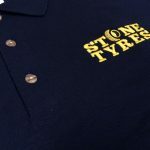 Workwear and Staff Uniforms branded with your company logo, is a great way to enhance your physical marketing. Brand recognition and Professionalism is key to increasing your company sales and we can provide clothing that meets all of your requirements. Embroidered and Printed logos are available onto 1000's of products from our online shop, find the perfect styles and colours of garment for your staff uniforms. 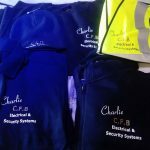 Embroidered Workwear is a great way to promote a product or service for businesses or to spread awareness for events. At Rocket Embroidery, we stock 1000's of products suitable for staff uniforms and have an in house embroidery service that is second to none. 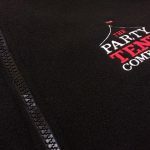 We can embroider text and/or logos onto your garments in both small and large quantities. 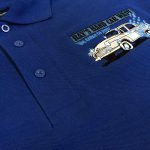 We recommend your company logo is to be embroidered onto polo shirts because they look professional and are good to work in due to their flexibility and durability. 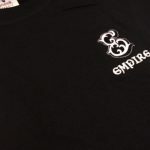 Need Promotional Clothing for a Business Event? 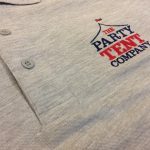 We have got you covered, business details and company logos can be printed onto a wide array of clothing to showcase your company details. Popular Promotional clothing includes Printed T-shirts with any design or Embroidered logos onto garments such as soft shell Jackets. Call 01744 601 402 or Alternatively, email your order to paul@rocketembroidery.com for a FREE QUOTE! Some of the recent work we have done for our customers!